Lower Mills resident and interior designer Taniya Nayak will be back for a another season of the The Great Christmas Light Fight on ABC on Monday night! ! Nayak became a household name as a design expert member on HGTV and Food Network ad owns a successful, Boston-based interior design firm, Taniya Nayak Design LLC., where she adds a fresh, clean look to both commercial and residential spaces including Yellow Door Taqueria and Lower Mills Tavern! 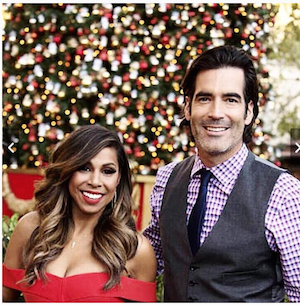 Nayak, along with Carter Oosterhouse (TLC’s “Trading Spaces”), host this show featuring the biggest, brightest, and elaborate Christmas displays in the America! In each of the six episodes, four families compete for a Light Fight trophy and a $50,000 prize! The show airs at 8pm on Mondays! Tune in – we promise it will put you in the Christmas spirit!